Welcome to part two of my favorite found footage and faux documentary films, designed to prove this beleaguered sub genre is capable of producing gold. Welcome to part two of my personal favorite films in the found footage and faux documentary sub genre. 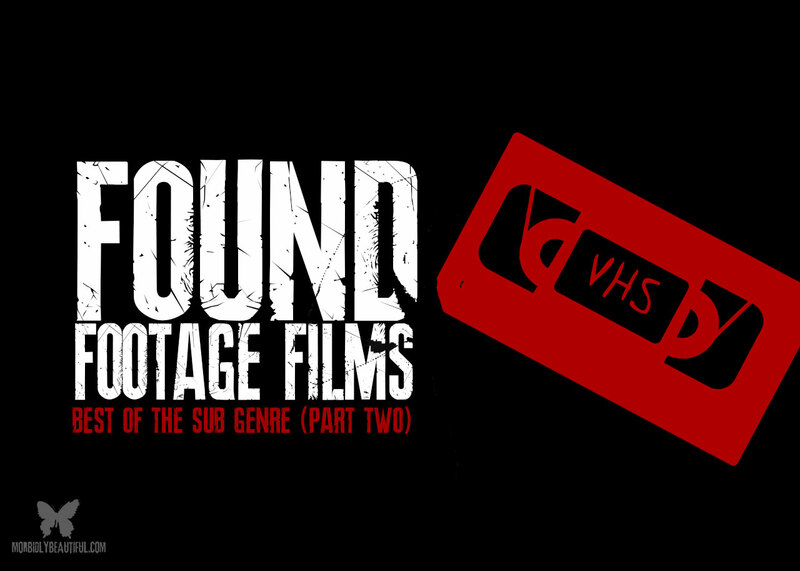 Last week, we took a look at four films in the found footage sub genre that dealt with folks who dared to tread where they probably shouldn’t meddle…and paid the consequences (read part one here). This week, we will discuss four more films worth exploring, and our theme this time around will be unexplained occurrences and people doing strange things. This film, in my opinion, is a masterpiece, not only in found footage, but also in the anthology style. It’s wonderfully scary, with unique stories and a wrap-around fame narrative. It also incorporates some truly terrifying sci-fi horror, and titular performances by its actors. The first segment, To Catch a Demon, (my favorite) involves a a scientist and his graduate student who are performing an unusual experiment, dealing with night terrors and sleep paralysis. I don’t want to give too much away but this segment literally scared me more than anything I can remember in a long time. Perhaps its because until a few years ago, I had a long history of debilitating sleep paralysis, and it really hit hard. The second segment, The Hunters and the Hunted, documents a couple who purchase a home that of course, turns out to be evil…but wait, there’s more! The twist ending to this one is brilliant. Things are not at all what they seem. The third segment, Cam Girls, shows a young girl chatting with a friend about blackouts she’s been having after she goes out drinking with her new girlfriend. The two have a live web cam show, and select people get private viewings. Only there’s something really strange about THIS live show…. The final segment, Amanda’s Revenge, draws a startling parallel between being raped while passed out drunk, and an alien abduction… yeah, you heard me right. Everything about this film is so well done, it’s amazing to me it did not get more attention. Dark Tapes is terrifying, doesn’t rely on jump scares or gore, and keeps you glued to the screen. No doubt, the inspiration for films like The Dark Tapes, V/H/S was the first of its kind. Followed by two equally stellar sequels, I’ve decided to include all three in this mini review. Each film consists of several short films, wrapped around a frame narrative. POV is used quite a bit, so it makes you feel a lot of the time as if you’re experiencing the horror for yourself. The stories are so unique and original, not consisting of any of the usual tropes or tired ideas. From a bar hopping succubus, to harrowing alien encounters, and skateboarders encountering Mexican death cults, to zombies inadvertently filming their own massacres, this film wins all around in the “Wow never seen that before!” category. It’s really quite refreshing. I love these films for their intelligent writing, unforgiving gore, and scary as hell sequences. V/H/S is an impressive achievement in this genre, for sure. Once again, this film and its subsequent sequel are both triumphs, not only in this genre but in film altogether. Each film follows a videographer who has the unfortunate experience of answering an ad posted on Craigslist by a severely unstable man. Under the guise that he is dying of cancer and his wife is pregnant, he aims to hire someone to document the last few months of his life for his unborn son to see as an adult…only there’s something REALLY wrong with this guy. Although the idea is original and disturbing enough on its own, what makes these films so especially brilliant is the performance delivered by Mark Duplass in the lead role. The powerhouse combination of Duplass and a well written script filled with just the right doses of unsettling hints makes the Creep films some of the best in its genre. With looks that will make your skin crawl (I won’t even mention “Peachfuzz”), Mark Duplass just kills it (pun intended). He manages to masterfully add all these little quirks and ticks into his performance that make his character so real just unsettling enough to make our hair stand on end. As the viewer, we are not yet aware of his actual motive, so like the protagonist, we are just as much in the dark. Yet little by little, Duplass’ behavior just gets more bizarre and unpredictable until it gets so strange that we can no longer ignore the serious implications of his actions. The first installment left me shuddering, and the second installment left me equally stunned. 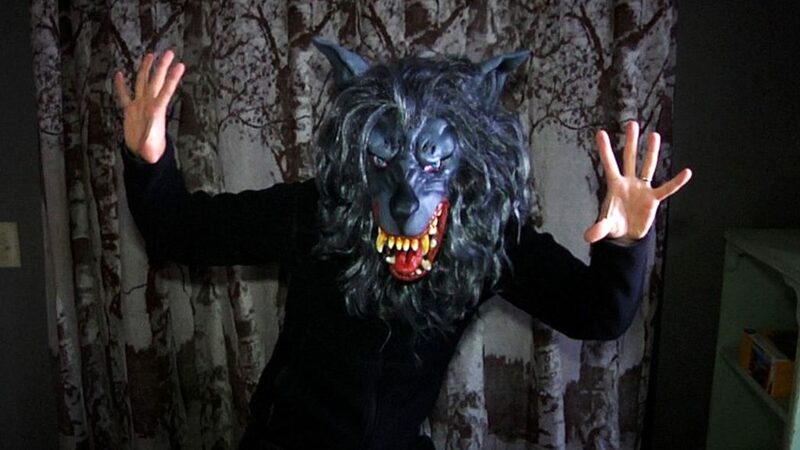 If you’re a fan of found footage and great performances, then check out Creep. This film is based around the premise of five friends going on a cross-country road trip to seek out extreme Halloween haunts. After hearing rumors of an enigmatic haunted attractions that always boasts a different secret location, they attempt to find it. But as their journey progresses, they realize they are being stalked. Is this part of the “extreme” experience? Or something more sinister? This film does a great job keeping you guessing at what is real and what is part of the haunt experience, playing around with scenery and utilizing the actors at the haunts perfectly. The cool part is that they actually shoot on location at all these amazing haunted attractions around the country, and it makes for some great atmosphere. There are some genuinely creepy moments, and it doesn’t rely too much on jump scares. All in all I would say this film is more of a fun thrill ride, although as I said, there’s legitimately unsettling moments and the actors deliver realistic performances. You’ll notice like two other films on this list I did not include its sequel. This is due to the fact that it was largely disappointing, and abandoned everything that actually made the first film good. It’s a totally different feel, and most of the time it doesn’t even feel like found footage. The only cool part was seeing more haunted attractions, but other than that, the film seems confused as to what it was trying to be, the use of a score is misplaced, and there are pointless scenes that don’t move the story forward in any direction. Plus there’s a twist, which, despite being interesting, I found too disheartening. 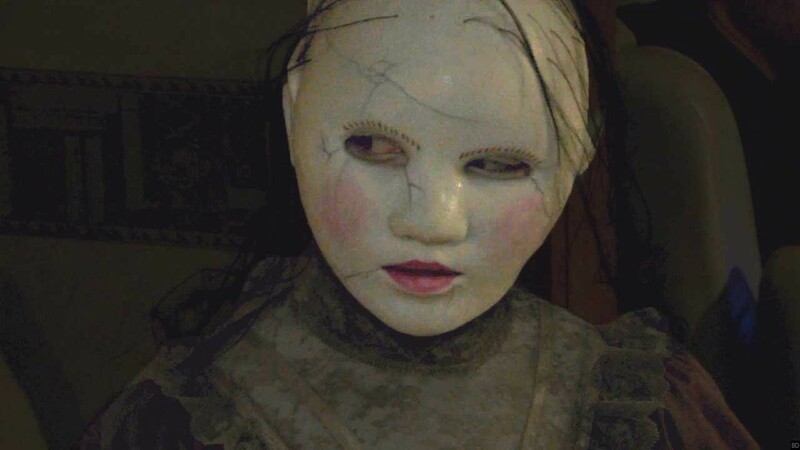 Save yourself the disappointment and skip the sequel, but definitely check out the first for a really fun ride through some of the most popular haunted attractions in the country and for some frightening sequences. I really liked “The Smiley Face Killers” (2014). It’s a really fun mockumentary that sucked in a lot of unsuspecting viewers. It’s especially interesting now, considering that the Smiley Face murders are actually being investigated. Danielle is a musician, writer and performer from Chicago, IL. who aspires to be a unicorn. She's totally into rainbows, magic and pink, but also, as a devoted horror fan, has a soft spot in her black heart for blood and gore. Her other interests include folk metal, mythology, history, film, and being a nerd. She is the mother of two children, Emma and Sagan, and hyperactive wife to her loving husband, Timothy.